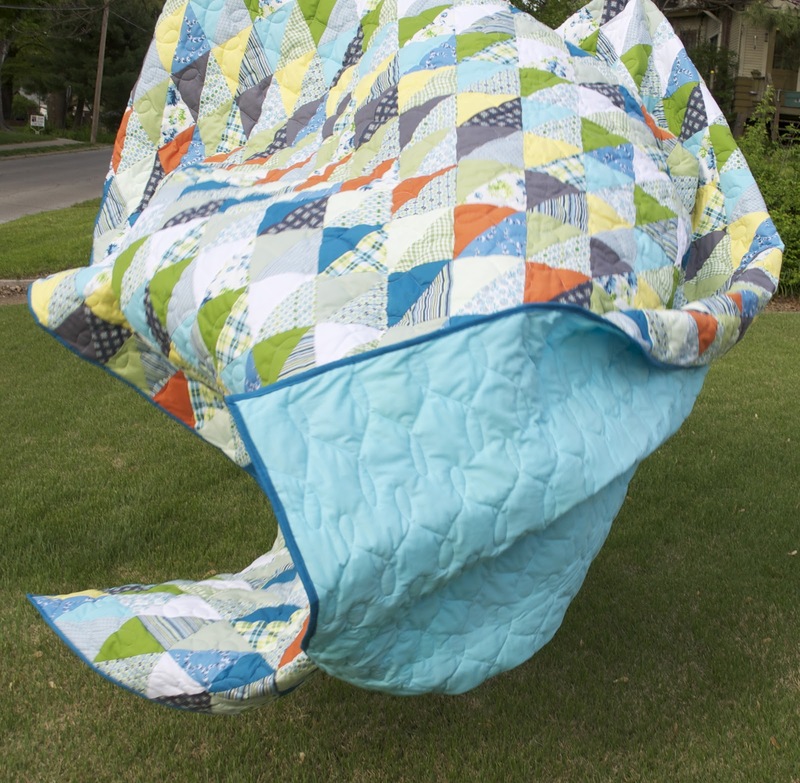 Things are a little Topsy Turvy around here!! 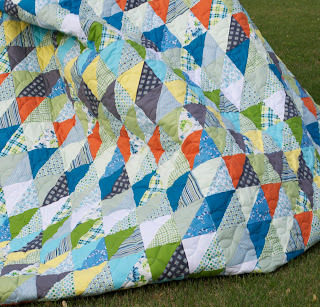 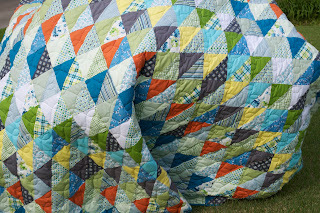 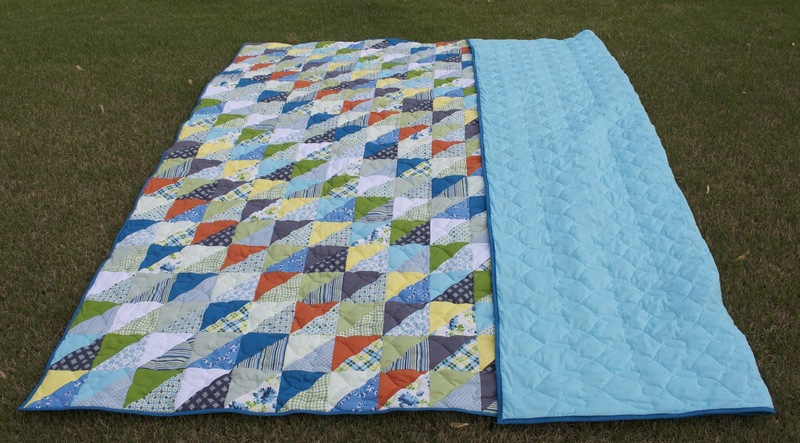 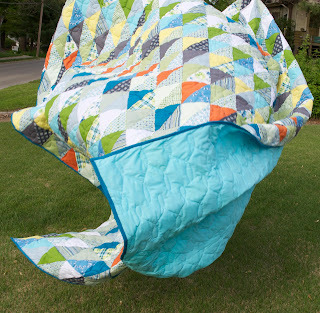 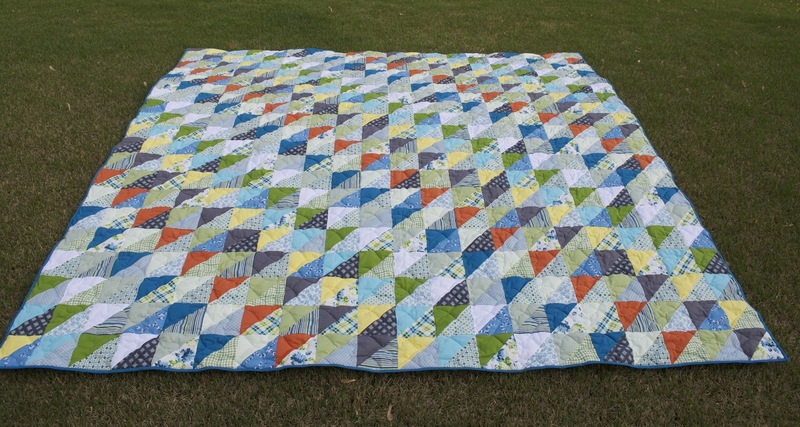 This quilt came back recently from Melears and I'm loving the wishbone quilting over it! 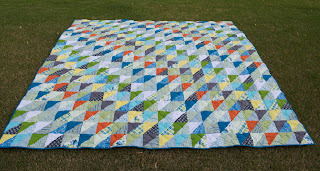 Just finished binding and couldn't wait to photo it! 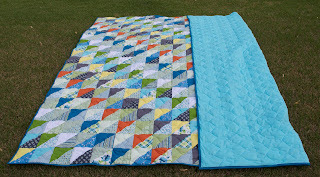 I enjoyed working with the Denyse Schmidt fabrics that are finally at JoAnn's - those mixed with the Kona solids make for a very fun HST quilt!